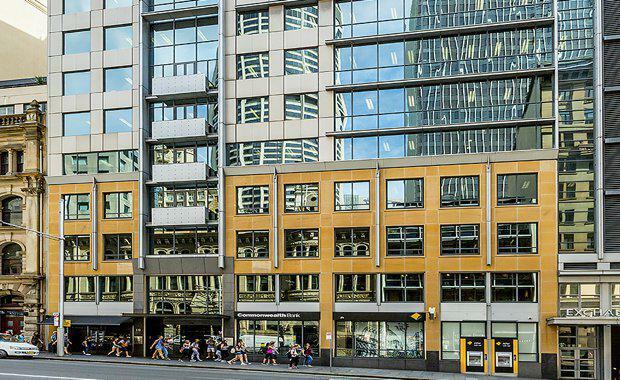 Following the sale of 20 Bridge Street to offshore investor Early Light International (Holdings) Ltd Group for $335 million on a 4.5 per cent fully leased yield, vendor Coweley Australia has placed its next door neighbour, the Exchange House at 10 Bridge Street, on the market. The recent and presumed future sales success on Bridge Street has left Coweley to take the B grade commercial office to market with price expectations of greater than $130 million. For sale through Graeme Russell, Simon Fenn and Ben Azar of Savills Australia and Rick Butler and Josh Cullen of Inc RE, the 14-storey, fully leased office building offers two levels of basement car parking, a Weighted Average Lease Expiry (WALE) of 3.5 years and a four star NABERS rating. Savills Capital Transactions Director Graeme Russell said the building was stripped back to its core in 1997/98 and fully refurbished/redeveloped. “10 Bridge Street is an iconic building in the heart of the city, adjacent to the stock exchange and offers a new opportunity to capitalise on the strong Australian market, in particular, the Sydney CBD," he said. The asset is 100 per cent leased with a high calibre of tenants including ASG Group, Kessler Financial Services Australia, Centrepoint Services and Boeing Australia Holdings, along with external branding opportunities and dual entry off Bridge Street. The property is moments from Circular Quay, Wynyard Train station and the George Street Light Rail development and within close proximity to ANZ, Westpac, NAB, Commonwealth Bank and major hotel groups including The Four Seasons, Intercontinental and the Marriott. Exchange House at 10 Bridge Street Sydney is for sale through Savills Australia and Inc RE via an International Expressions of Interest campaign commencing in August 2017.